This column is directed especially to MPA students or others who are entering a government career. Many government jobs do not require a particular degree. For these jobs, you will be competing with people with a wide variety of degrees such as MBAs, math and engineering degrees, computer science degrees, as well as people with bachelor’s degrees. In the end, it’s your skills and job knowledge that count the most – not the specific degree. Skill in analyzing issues and writing are likely to be of critical importance. Governments produce huge amounts of writing – letters, emails, memos, reports, manuals, regulations, training materials, press releases, speeches, budgets, strategic plans, PowerPoint slide decks, staff studies, etc. Many documents are available on government websites. Hopefully, you have been immersing yourself in government documents and the issues that are in these documents. Writing skill is important. But more important is the ability to analyze issues and determine what should be written in the first place. You cannot complete a writing assignment if you don’t have sufficient information at the start. Your agency’s policies, procedures and systems are likely to be quite complex. Quick retrieval of information will help you immensely. You need to think carefully about how you organize your electronic files, emails and favorite websites. You need to constantly be learning about your agency’s information sources. The relationships you develop with coworkers are extremely important too. A quick phone call to the right person can save hours of individual research. Oral skills are critical to virtually every job these days. You will no doubt have frequent interactions with other government workers and possibly contractors and members of the public. 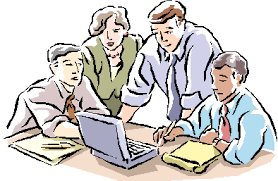 You will attend many meetings (including virtual meetings). You will be expected to participate effectively in these meetings – to listen carefully, stay on the subject and avoid talking too much or too little. Always be respectful of others and avoid personal attacks, platitudes or griping. Your agency wants the meetings you attend to be as productive as possible. Be sure to address any personal issues that could drag down your ability to interact with people such as addictions, depression, attention deficit, abrasive personality, poor grooming or excessive shyness. Computing issues are pervasive in today’s organizations. There are literally thousands of in-house computer systems used in government. You may be required to navigate a number of agency systems. Just gaining access to the systems you need with the necessary permissions may be a challenge. These in-house systems generate a huge amount of work– analyzing user requests, defining business requirements, dealing with security issues, testing enhancements, and deciding what information technology (IT) changes should be deployed to production. The more you understand IT from a business perspective the more valuable you will be. Management will expect you to be competent in standard desktop applications such as Word, Excel and PowerPoint and to learn any specialized applications as needed. Advanced Excel skill is highly recommended. Many government problems don’t require knowledge of higher math but do require strong spreadsheet skills. Skill in analyzing data residing in computer systems also is much in demand. In today’s environment, pay extremely close attention to your agency’s computer security procedures. You don’t want to be in trouble with the IT security staff! A vertical view of your job may be helpful to gain perspective. What is the underlying legislation that applies to your job? Are there any agency regulations with the force of law? Below the laws and regulations, are there agency manuals, circulars, training guides, websites, pamphlets, or other internal or external documents that would help you understand your job? Are there user guides or other documentation for the computer systems you will be using? Do performance metrics exist? Because of workload pressures, you may find existing agency documents are out-of-date or incomplete. Part of your challenge will be to figure out which documents can be relied upon and which cannot. You may or may not receive much formal job training. You may be just thrown into deep water and expected to swim. If you are a manager, be sure you understand what you can and cannot do. Civil service rules are very complex. Be sure to study your agency’s ethics rules or code of conduct carefully so that you stay out of trouble. Try to be as accurate as possible when you convey information. Try hard to resist “spin” as you send information up through channels. If you encounter misconduct, refer the matter to the inspector general (IG). If there is no IG, a senior person in your chain of command. Don’t become a workaholic. Maintain a reasonable work/life balance. Remember, your agency and its programs were created by the legislature through the democratic process. What you are doing is important. The public is counting on you to deliver the services required by law. Best wishes for success! Author: John Pearson recently retired from a lengthy career in the federal government where he was a program analyst. He has an MPA degree and a bachelor’s degree in economics. He has decided to write some columns reflecting on his experience in government. His email is [email protected].